Earlier this week, it looked like a template was developing. Then the Kane news hit and now we’ve got a varied array of community teams. Kane’s injury forced the hand of many, with early points hits needing to be repaired. Many have decided to play their Free Hit chip. Here’s a selection of community squads. Any managers who are considering playing their Free Hit, should look to the advice of those who are sharing this weeks optimal team on Twitter. This is also useful transfer advice. Plenty have chosen to play their wildcard, including myself. 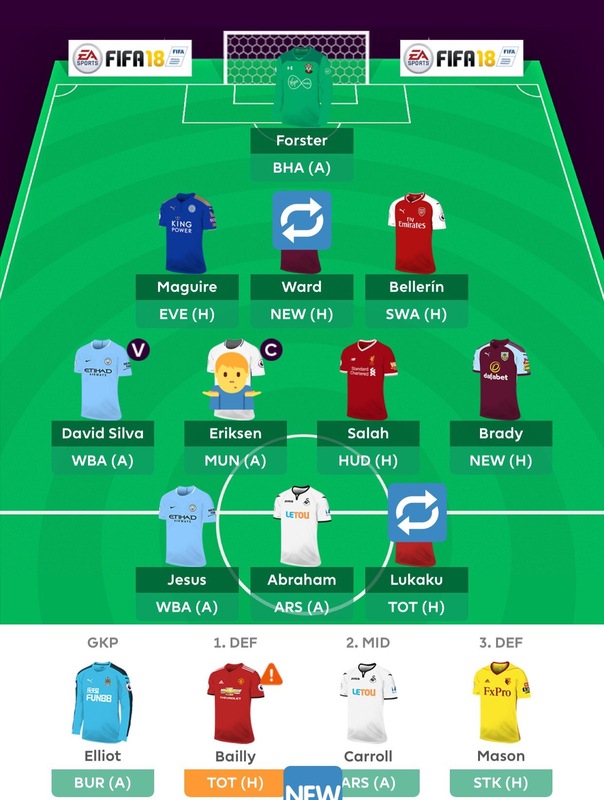 Here’s the latest drafts shared on Twitter, including from a former FPL Champion. After numerous drafts and a Harry Kane injury, here’s my wildcard squad. A lot of talk that Aguero won't get the minutes this week, so brought Jesus in for 1 week. There’s been plenty of points hits floating around too. Here’s some transfer decisions made by many! A certain Watford midfielder is a popular captain choice in the community this week. There’s some fantastic graphics provided by some managers. These are some of my favourites, including a blast from the past! For those following the progress of my other half, here’s his reluctant team for Gameweek 10. Captain:Eriksen – read why here? Good Luck all! Come back on Monday for the Gameweek 10 Review!